Level up your iOS development skills with massive Black Friday savings! 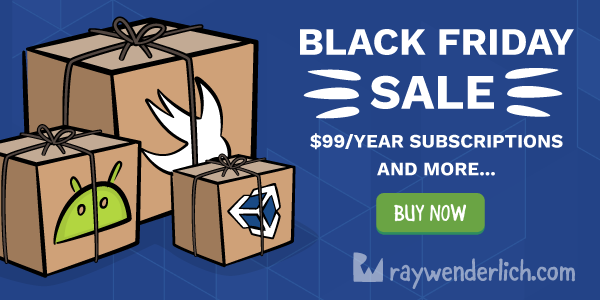 From November 21st – 26th, you can grab a full year’s subscription to over 1,500 video tutorials at raywenderlich.com for just $99/year — that’s a savings of over $140! From video courses to advanced screencasts to book bundles and more, the best investment you can make in your development career is waiting for you at raywenderlich.com.